This software install a plugin in FCPX or I must convert my XAVC clip in “Catalyst Browse” and then import mov in timeline? 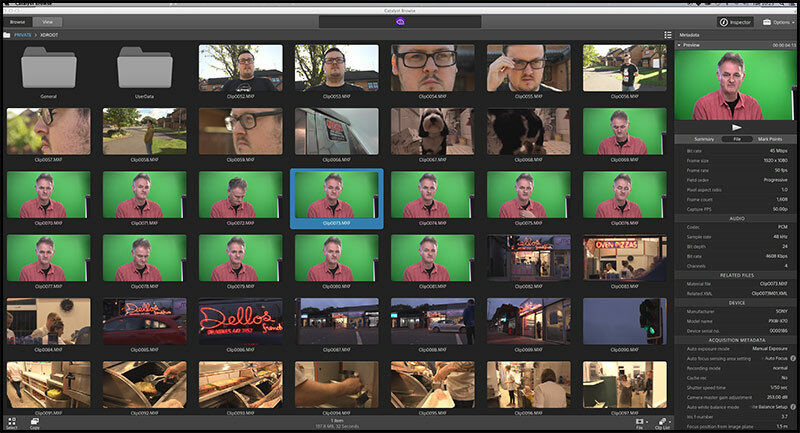 HDW : Not a plugin…You handel all your footage in Catalyst Browse then transcode into ProRes in a folder then import to FCPX. Many thanks for this and it works well. However, I have not discovered how to batch process a number of selected clips, maybe I missed something. Would appreciate your thoughts. HDW : Sorry I am filming all this week but have sent a message to Sony hoping for a reply soon. My own gut feeling is that this is a temp fix and this application is probably a “pay more to use further features”. HDW : I am filming all this week but I will flag this up with Sony and see why this is happening. I have the same issue as Jane and Scott above. Cannot transcode multiple clips as a batch – I have to do them individually. This is not practical and there needs to be a way to select all the clips that were shot and transcode them all to ProRes. Thanks for bringing it to Sony’s attention and hope they fix this ASAP. Pro Res is for Mac, but how about for Windows users of Premiere Pro? 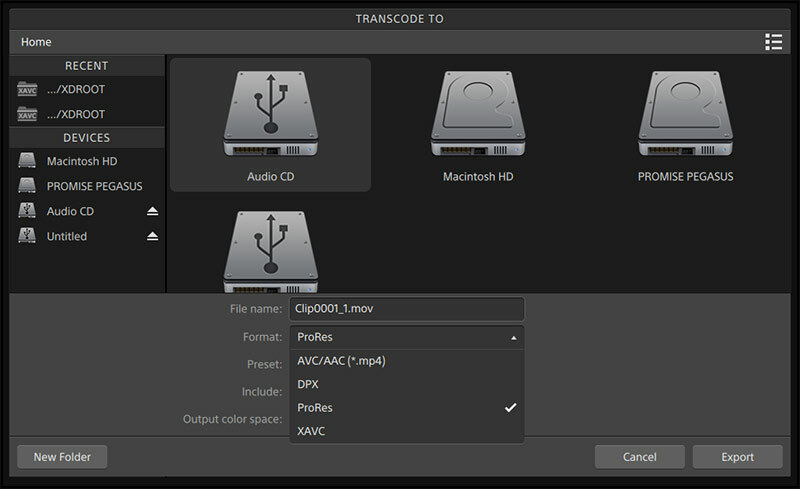 What is the best quality option to transcode? AVC/AAC – Internet HD 1080 25 if I am shooting in XAVC 1080 24p 50mbps? Don’t I lose quality in transcoding it to MP4? Please help. 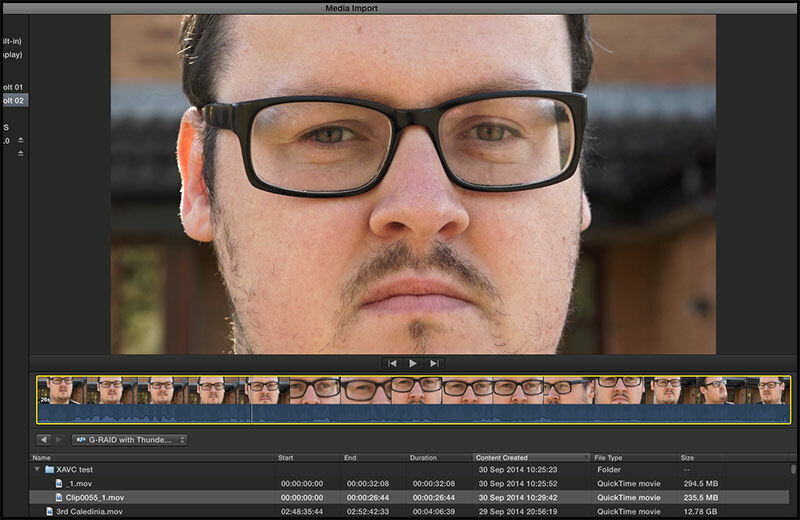 HDW : Premiere Pro does edit in ProRes the only problem seems to be you can’t encode back out of Premiere as a ProRes file but that should not be a problem…H264 etc. If you don’t get the option use DPX which at least gives you 10bit footage. I think what Nick is saying is On the Windows platform even with Catalyst you would need a Mac to transcode to pro rez. HDW : The problem I have is not knowing the options given in the Windows version but PP can handle DPX which has only one option…10bit which will be fine. Yes, Scott, exactly. If I have Windows PC, Catalyst only gives me option – Internet HD 1080 25. Got same answer directly from Sony yesterday. In this case for now AVCHD is better quality option. I tried Premiere Pro CC yesterday and it does support XVAC from PXW-X70, unfortunately I am not ready to pay $240 a year to Adobe for that privilege. How to do this workflow with Catalyst browse? Catalist Browse recognize XAVC Intra, but not XAVC L like from the PXW-X70, I made some tests, it didn`t work. Same problem as Jane. Frustrating not to have a workflow that would allow us to bring in these great XAVC multiple clips into FCP10. One at a time? Keep up the good work Philip we seem to be getting closer. I hope Sony gets a bulk transcode feature going soon. I would have though they’d have this ready before the camera went to market. As it is, it’s very frustrating not to be able to edit XAVC in any practical manner. Does anyone know of another bulk transcoder that will work? Yes, bulk export to MOVs very soon please Sony!!! Scott … I tried Resolve… but on Windows the Prores option is not there. Sorry Steve you are correct I did not realize you were on a PC. I may be missing something here, but I converted some 4k AVC-L footage to AVC-I using Catalyst Browse so that it could be imported to FCPX, then I created proxy files of the 4k AVC-I footage to edit in. However the data rate still seems to heavy, even cutting with proxy, and I am using a powerful mid 2011 iMac and Raid 10 setup. It doesn’t seem that there is a way to convert 4k AVC-L into 4k Pro Res? Its limited to 1080…. I own a Sony PXW-X70. I downloaded the latest version of Catalyst Browse, which has batch transcode. 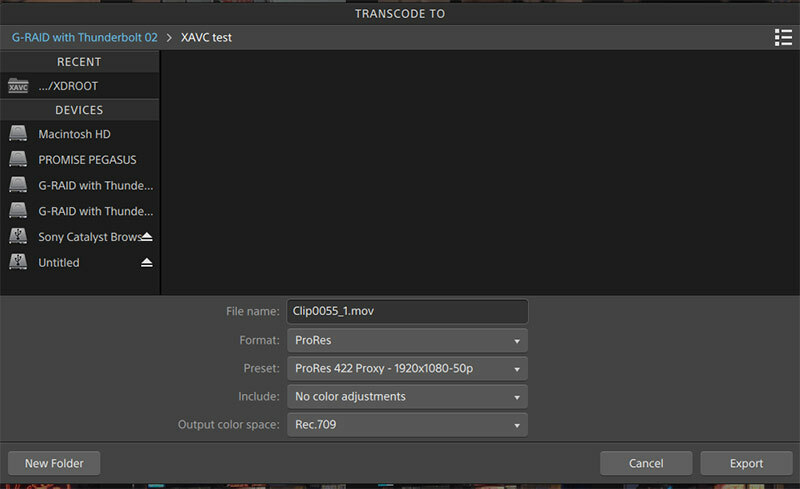 My problem is that I’ve recorded footage at XAVC-L 1080 50i but I can’t find a ProRes option to transcode to 50i (interlaced). It only gives options for 25p (progressive). IS there a ProRes Interlaced option? 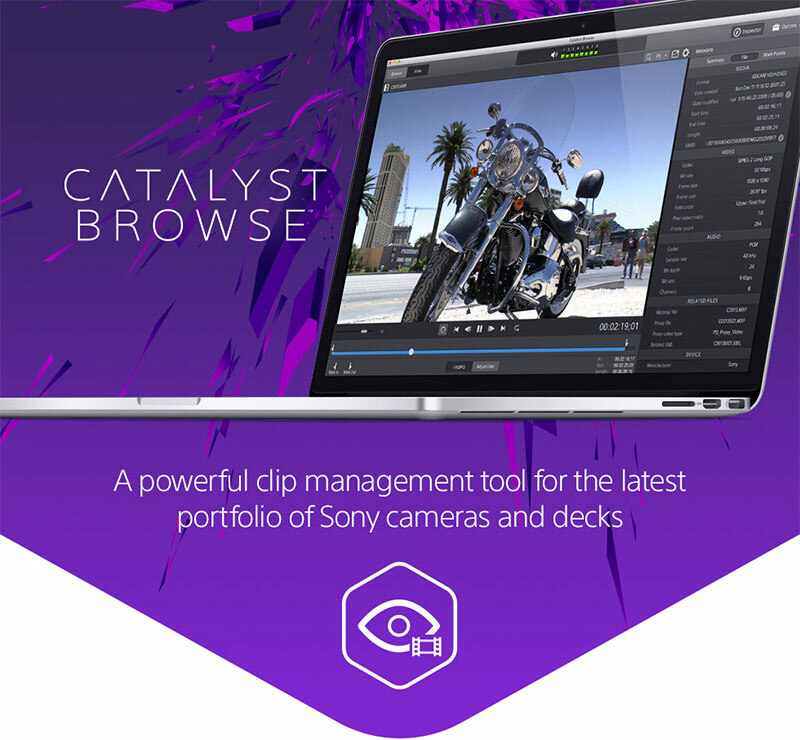 HDW : I have never noticed this before but using Catalyst Prepare in Pro Res 422 HQ mode your export options are all progressive…don’t understand, I will ask Sony next week. HI, I post here because i like this site and i do not known how report this to Sony. The last version of CATALYST BROWSE 1.1.1.133 do not have corrected the following issue. Now, ( by reduction of the gain to 0.916), I ajust the value of Y from 205 to 235. And so, all the levels are visible. And finally, if i place one point on the “tone curve”, all the level are clipped at 91.2 IRE. It is a very bad thing because i have to transcode the files after the gain ajustement. Open the saved files and adjust the tone curve that works good at this point. And finally transcode a second time. It is heavy and ridiculus. If Sony can correct this issue, i will be glad. The new version 1.2.0.257 is corrected. Now in rec.709, if you place a point on the tone curve, All the level from y= 16 to 255 are displayed. The 1.2.0257 do not clip at 91.2 IRE a mp4 files from the new HDR-AXP33. But for MTS files from PXW-X70 OR mxf files from PXW-Z100, it’s still the same. Avdshare Video Conveter can Convert XAVC or XAVC S to ProRes for importing XAVC or XAVC S to FCP.